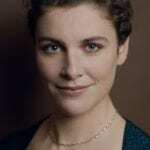 Askonas Holt is delighted to welcome conductor Corinna Niemeyer to its roster for general management. Corinna Niemeyer is currently Assistant Conductor of the Rotterdam Philharmonic Orchestra, a position she has held since September 2018. As guest conductor she has worked with the Gürzenich-Orchester Cologne, Konzerthausorchester Berlin, Orchestre Philharmonique de Strasbourg, Yomiuri Nippon Symphony Orchestra, Musikkollegium Winterthur, Nagoya Philharmonic Orchestra and Osaka Philharmonic Orchestra among others. Her debut at the Cologne Opera in May 2017 conducting Le nozze di Figaro led to two further engagements in 2017/18, including a new production of La traviata. In 2016, she led a contemporary production of Udo Zimmermann’s Weiße Rose at the Theater Augsburg, praised as “moving” (BR-Klassik) and of “great intensity” (a3Kultur). This season Corinna will be performing for the first time with the Orchestra of the Komische Oper Berlin, as well as with the Orchestre Philharmonique de Strasbourg at the Opéra National du Rhin. She has been invited to return to the Konzerthausorchester Berlin, after giving an acclaimed concert at the Festspiele Mecklenburg-Vorpommern last season. Corinna will be represented at Askonas Holt by Rachel Bertaut and Niall Houlihan.